Who knew Christmas lights could be so powerful? 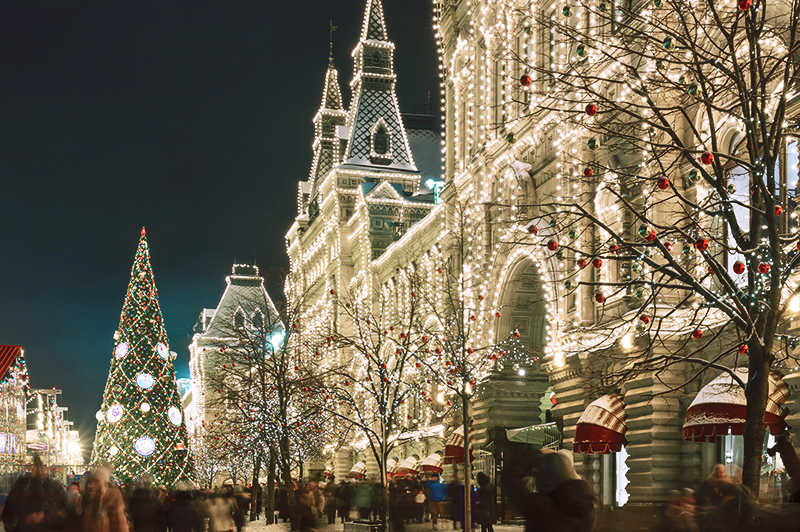 According to David Sloan Wilson, an evolutionary biologist at Binghamton University in New York, the density of Christmas decorations in a city or town can demonstrate the strength of its community. "It turns out that this urge to decorate your house is an expression of neighborliness." says Wilson. "Some of the best neighborhoods literally glow more brightly." The prevalence of Christmas spirit in a city or town, and the cheer that comes from enjoying everything that the holidays can bring, can have a positive effect on its community. But the benefits don’t stop there. There are many great reasons to decorate your city for the holidays in addition to raising the spirits of the community. No one can argue, the holidays have the power to bring communities together better than just about anything else. Whether you’re a city official in charge of community events or plan out your town’s seasonal decorations, the holidays are impossible to ignore. However, how fully you utilize the marketing and community-building powers of Christmas is up to you. It’s important to remember, but often overlooked, that community building is an investment. Anything you do to make the holidays memorable and generate Christmas spirit for your residents doesn’t just help the community come together now, it strengthens the sense of community on into the following year as well (and the benefits of that community building are numerous and far-reaching). But more than just building the strength of the community, few things are as powerful as a great commercial Christmas display for mesmerizing visitors and attracting new residents. 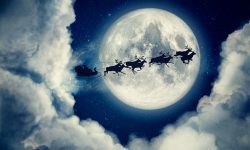 People are accustomed to traveling short (and even sometimes long) distances during the holidays to catch a view of any impressive Christmas display in their area. When this happens, you have the chance to captivate them with the magic of your neighborhood at its best– fully lit in a soft, cheerful glow that they’ll find hard to forget. This is great for word-of-mouth but has been further enhanced by the viral quality of the internet. Now, when someone sees a really impressive Christmas display, they’re likely to share it on social, bringing in additional traffic that you otherwise might not have gotten. Lastly, in addition to strengthening and growing the community, an enchanting commercial Christmas display can be great for business. By attracting new visitors to your city or town, they won’t only enjoy your holiday spectacle, they’re likely to visit the local stores and restaurants as well. One of the best ways to take advantage of this (and the first two community-building benefits as well) is with special seasonal events. Something such as a street fair or park event is ideal for both community and business because it brings people from all around together in a fun and enjoyable environment in addition to allowing vendors to join in with booths (and in other ways depending on the event). 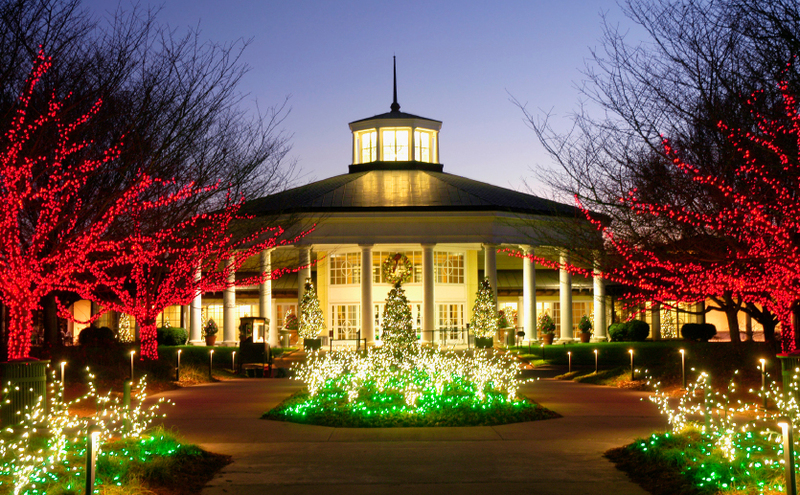 A great example of this is the “Christmas Capital of Texas” collection of events put on in Grapevine, Texas. Every year, Grapevine puts on more than 1,400 various Christmas events all across the city. 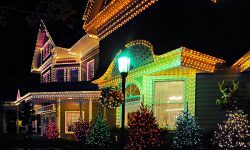 Events include food, shopping, decorating, live music, performances, Christmas movies at the local theatre, even a recreation of the Polar Express, and much more. The above example is a great way to drive revenue to community businesses during the holiday season with nothing more than attractive Christmas lights and decorations. Community events such as this, whether big or small, can bring in huge amounts of local traffic, strengthen the community, and even attract new residents along the way. However, it can also generate great revenue for the city in the process. By now, the great benefits that commercial Christmas decorations and the holiday spirit it can bring to a municipality are clear. With that in mind, you want to make sure to do it right to get the most from your investment. The decorations will be up for some time, and a winning recipe can be recreated in proceeding years, so the more time and effort you put in the more you’ll get out of it. To get the most from your holiday decorations, it’s important to take time to preplan for a successful season. 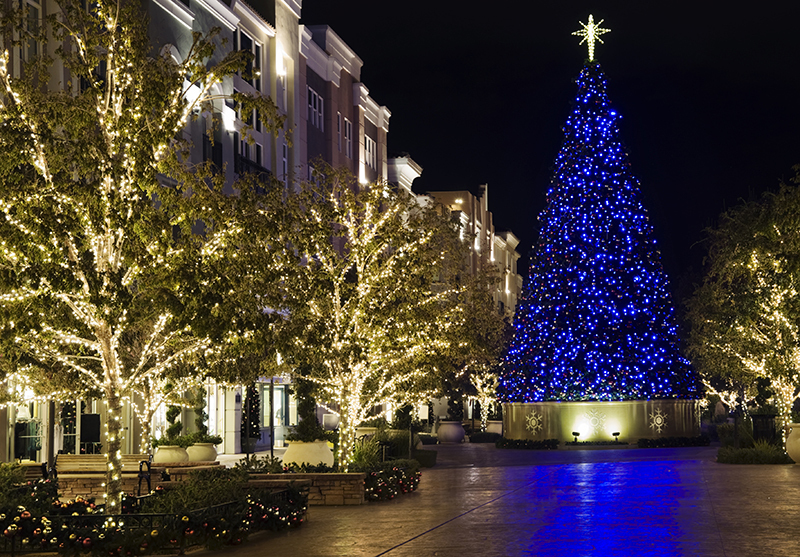 Consider the most strategic locations to place Christmas decorations such as shopping centers and main streets that tend to attract large numbers of people. It’s also important to consider where special holiday events may take place and how that will change the number of lights and decorations you’ll need (and by when you’ll need them to make it in time for the event). If you’re unsure whether you have enough, it can’t hurt to get extra decorations to protect you from any miscalculations, especially considering if you have to make an emergency order late in the season the decoration you need might then be out of stock. 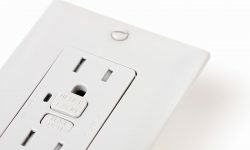 Pre-planning can protect you from many of the issues that might come up later, so take the time to consider all possible problems that might arise from setup issues to event complications and plan ahead accordingly. Nothing is easier to do and offers such a high return as purchasing high-quality commercial Christmas decorations instead of low-quality ones that are likely to short out, flicker, or just plain not work like they’re supposed to. Most important here by far are high-quality LED Christmas lights. A lack of decorations is possible to make up for, many types of decorations being easily replaced. However, the problem of a shortage of lights can’t be fixed. In addition, high-quality LEDs will offer the brightest and most impressive display possible while taking the least amount of city resources (I.E. electricity) to do it. 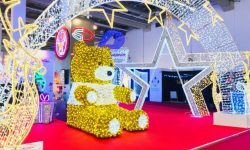 In addition to high-quality LEDs, high-quality Christmas decorations will be far more impressive than low-quality ones, giving a more lasting impression for the season’s visitors. 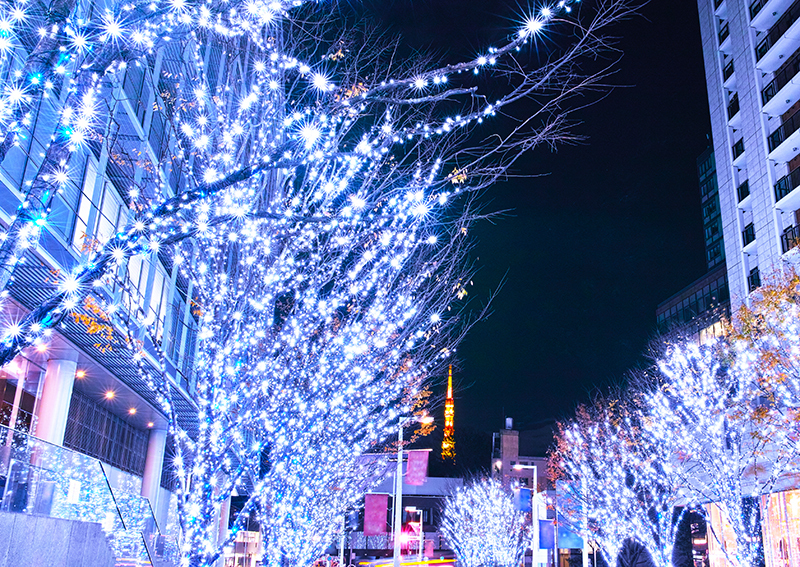 Decorating a town or city in commercial Christmas lights, even if it’s only a few select locations such as major streets, shopping centers, and restaurant districts, is a big job. Why not outsource most of the work? The first and most important step here is to get professional help both designing and installing your commercial lights. And by professional help, I don’t mean your uncle’s friend who’s an electrician. It’s important to get a real professional Christmas lighting and decoration installer who knows what they’re doing, otherwise, you could be left out of funds and with an end product that’s unimpressive and even troublesome (if installed incorrectly). This will then require additional funds not originally budgeted to go towards the plan or to go through the holidays with a less-than-impressive Christmas display that can hurt business in the long-run. On the opposite end, a real professional installation can mean better quality displays, less risk, less work for you, and a more dependable job and end result. Hiring professionals may be obvious, but getting professional help is about more than just that. It’s also important to consult with professionals and experts online for ways to help your municipality's Christmas decoration display stand out and go off without a hitch. 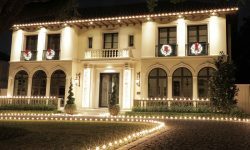 As Christmas enthusiasts with pro installation experience ourselves, the Christmas Designer’s Facebook page is a great place to get advice for the upcoming holiday season. Send us a message and we’ll be happy to help! In addition, forums and communities online are a great place to get help from experts whether you have a specific question or are just looking for general advice (just make sure to be specific about the decoration plan for your city or town). 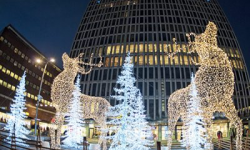 Commercial Christmas decorations can help transform a city or town for the holidays, bringing the community closer and attracting visitors and potential new residents. 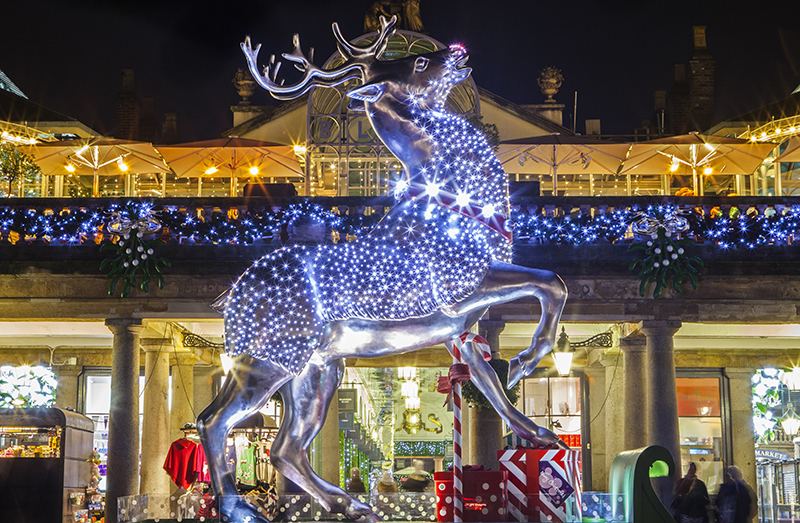 In addition, strategically placed Christmas lights and decorations (and the marketing to accompany it) can help drive revenue for the municipality as a whole, allowing a well-done commercial Christmas display to become a worthwhile investment. Take the time to pre-plan your decoration displays, invest in quality lights and decorations, and get help from professionals to take full advantage of the marketing and community-building power of commercial Christmas decorations for your city or town.